The 15th Annual Charity Golf Classic put on by my good friends over at K97 Classic Rock Radio Station is fast approaching. I do custom framing as a bit of a hobby and although I don't have much time for it these days I do like to use my power for good when I can. This year I only had time to frame one item for them. The guitar was signed at last years Edmonton Rock Music Festival. The display includes a mini poster of the event and a my VIP pass was also included. They will auction off the guitar at the tournament to help raise money for their many causes. 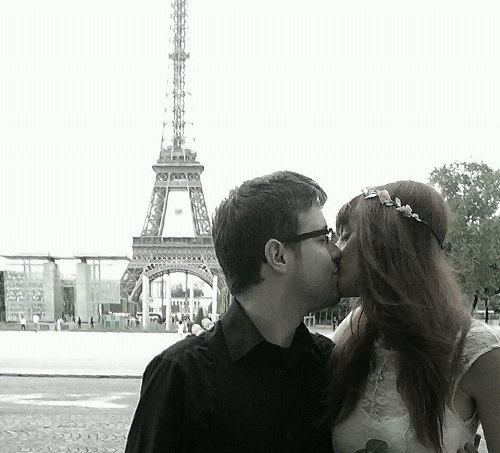 Last Wednesday I gained a new daughter when Becky and my son Mike were married under the Eiffel Tower in Paris. It was everything you would imagine it to be. I left so many things unchecked on my "Paris To Do" list that I will be planning another trip back just as soon as I can.